January 26, 1953 – Chief city bridge tender Edward Scott brings news that an era on the Chicago River may be passing, saying that 16 of the city’s bridge tenders averaged less than one bridge opening a week during 1952. The bridges on the north branch of the river at Cortland Street, Webster Avenue, Ashland Avenue, Fullerton Avenue, Damen Avenue, Diversey Parkway, Western Avenue and Belmont Avenue opened for a total of only 800 “swings” during the entire year, an average of only 50 bridge openings per man for Scott’s crew. Since the preceding February these bridges have been left unmanned, and when passage up or down the river was required, bridge tenders moved from bridge to bridge in city cars. The city seems to be moving in the direction of erecting fixed bridges in these locations because of the scarcity of traffic on the once busy north branch. In a related development the Great Lakes division and Chicago district army engineers have offered the opinion that the dredging of the river north of North Avenue from 9 feet to 18 feet is unnecessary, a move that the city itself once supported but is now against. 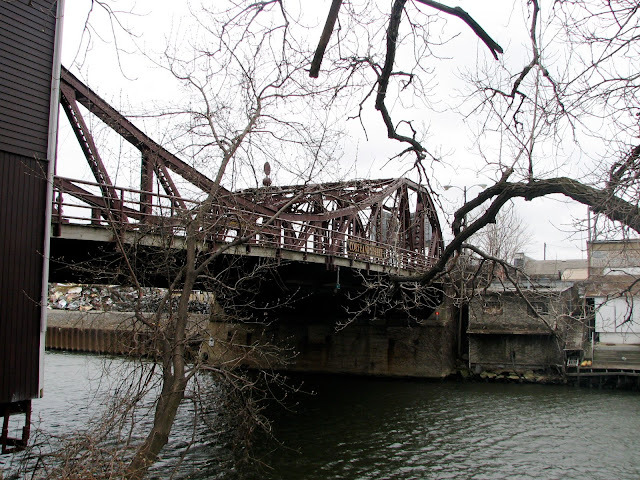 The oldest trunnion bascule bridge in the city at Cortland Street is shown in the above photo. 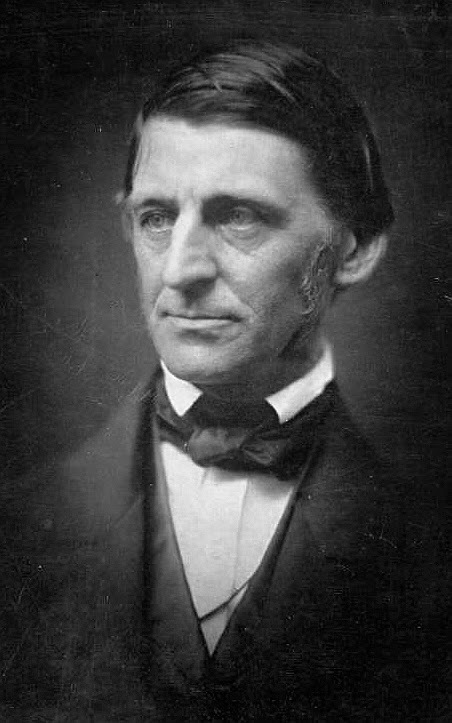 January 26, 1865 -- Ralph Waldo Emerson gives a lecture, entitled "Education," at Unity Church, the second of six that he will give in Chicago. The Chicago Daily Tribune described Emerson as "a plain unaffected gentleman, [who] speaks with marked emphasis and with the utmost propriety, without gesture, and looks more like an educated well to do farmer than the highly cultivated scholarly lecturer."